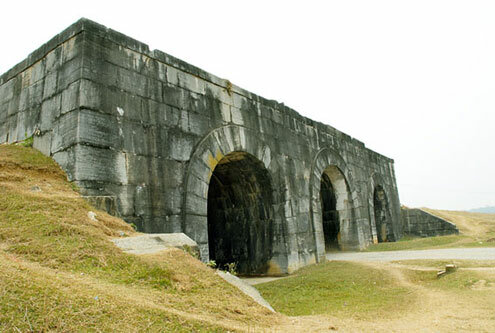 The old citadel was constructed by the Ho Dynasty in the beginning of the 15th century. Most of the castle is ruined, but the main gates are still standing. The four gates each face a major direction, north, south, east and west. The gates are constructed by huge rectangular stone blocks. Even though most of the castle is ruined, it is still inscribed on the UNESCO World Heritage List. 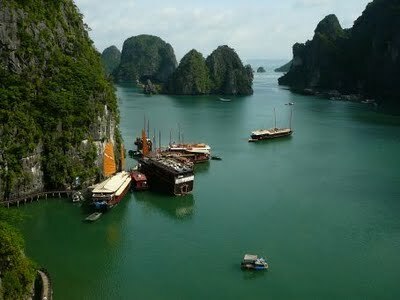 In the Quang Ninh province, outside Ha Long City is the Ha Loyng Bay. Scattered around the bay are thousand of small karsts and islands, mostly made of limestone. The limestone has been formed over 500 million years. 20 millon years ago the karst began to shape. The local fauna and flora has adopted well to this tropical environment, with several species that cannot be found elsewhere. In the bay there has also been found remains of human culture, dating back up to 20.000 years ago. The area has been added to the list of UNESCO Wordld Heritage Sites. It is also regared as one of the New Seven Natural Wonders of the World in 2011. This old temple was built in 1070. 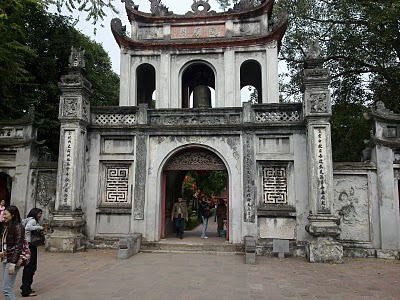 It is one of several temples of litterature in Vietnam, but the most prominent one. Aside from being a temple, it also serves as the Imperial Academy, and is Vietnam's first university. The peace inside the restful yards is a huge contrast to the noice from the traffic outside the walls. It has preserved most of it's architectual style and relics. Even though the old style is intact, it has been destroyed and reconstructed several times. Today it is one of Vietnam's most important historical and cultural sites.